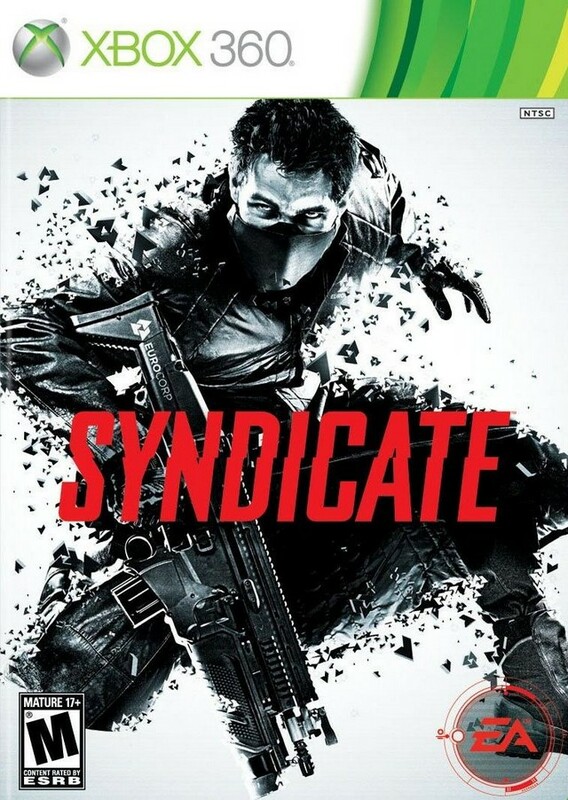 Syndicate is set in the year 2069. A company called “EuroCorp” has created a human enhancement called the DART chip. This chip is basically used to make electronic devices, and even governments, obsolete. With no government system, mega-corporations known as “Syndicates” rule over the people. These Syndicates (EuroCorp, Aspari, and Cayman-Global) basically only care about the people equipped with the DART chips, everyone else is left to fend for themselves and are considered “expendable” to these corporations. You start the game as a man named Miles Kilo who has been equipped with a DART chip. You’ve been equipped with the latest form of DART chip by a rather attractive scientist named Lily Drawl. You are sent on various missions throughout the game, some of which you are accompanied by another agent named Jules Merit. Merit is a sociopathic death-monger who has no remorse or consideration for human life, but he is your “friend” so you basically let him do what he has to when he is with you. You can play the game as a character like him and kill anything and everything that moves, or you can choose to only target enemies and leave everyone innocent alone. It’s your choice, but it doesn’t really make a difference either way. I believe there is one trophy or achievement to be gained from not killing any innocents in a certain chapter, so if you plan on massacring everything but want all the achievements/trophies then keep that in mind. Anyway, the story progresses from here and I will not go too much deeper into it, as I don’t wish to give everything away without you playing. The combat in this game is very typical of most FPS’s (first person shooters). You have two weapon slots throughout the game so you can only have 2 weapons at a time. You may also carry grenades of various types. Here is the fun part: now because of your DART chip you are granted special “abilities”, so to speak. You are given 3 abilities; suicide, backfire, and persuade. The suicide ability, when focused on an enemy, caused the selected enemy to become suicidal and he will pull the pin on his grenade killing himself and anyone near him. This is helpful if your enemies are in a group, or just fun for singular enemies if you like to toy with them. The backfire ability is just like it sounds, it makes the selected enemies gun backfire on them, which hurts them. You can upgrade this ability to affect multiple enemies, but I will get into the upgrades later. The persuade ability allows you to persuade a selected enemy to join up with you and attack his friends. This is very helpful when there are large amounts of enemies focusing on you since they will break off and attack the person you persuaded, giving you a break. When the person you persuaded it finished, he will finish himself by shooting himself in the head. Otherwise the abilities given by the chip are straightforward, when you come across an item that needs hacking or booting up you will be prompted with a notice of which button to press to accomplish the task at hand. You will also have to take down the shields of certain enemies with your chip before you are able to effectively attack them. There are also turrets which can be hacked to fight for you. On to the upgrade system. The upgrade system in this game feels a little pointless at times, but there are some helpful aspects to it. You gain upgrade points by killing chipped enemies (ie: special persons or bosses) and, in a rather violent way, you can extract their chip and use it to upgrade yours. The upgrades are pretty straight forward, such as raising max health and upping the damage can withstand. There are also a few that upgrade the abilities I mentioned earlier, such as causing multiple enemies’ guns to backfire. The shooter aspects of this game are really crisp. Aiming is a breeze but is also realistic causing you to place your shots more carefully than most “spray and pray” types of shooters. There are a good amount of guns in Syndicate as well. There are your standard pistols, AR’s, shotguns, and heavy weapons. One weapon I found to be very useful with the Gauss rifle, the minigun heavy weapon is also a beast. Gameplay over all is smooth and fresh, nothing super unique can be found in this game except maybe the abilities mentioned above. Overall it plays like most tactical shooters. One major complaint I had about this game was the length. This game is approximately 6 hours long, which is not an uncommon length for games but I just felt that it could have been longer. The story itself was actually very intriguing and kept you on your toes. It can get a little bit predictable towards the end, but in my case what actually happened at the end was a bit unexpected, so keep that in mind. I give this game a 7.5. The gameplay and story were great, but the single player campaign was too short for my taste and the upgrade system was bland. The graphics were nice, though, and the story was very unique. I’d recommend this to any shooter fan or person who enjoys the occasional shooter, just don’t expect this game to hold you over for very long. Next Next post: Borderlands 2 character concept art.